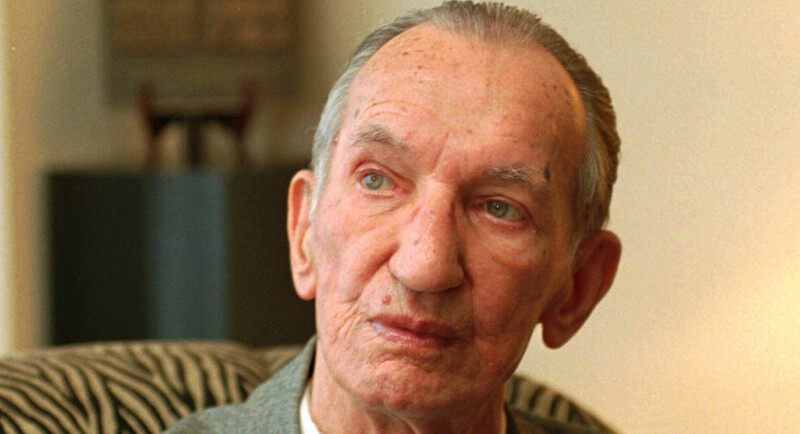 Holocaust eyewitness, Jan Karski, briefed President Roosevelt 75 years ago. By ANDREW GLASS, Politico, July 28, 2018. Click for full report. The systematic extermination of more than 6 million Jews during World War II was not widely publicized until Nazi Germany’s surrender in 1945 brought the full dimensions of the Holocaust to light. President Franklin D. Roosevelt, however, among other leaders, was briefed on what was happening well before the war ended. On this day in 1943, FDR received a first-person account from a member of the Polish underground named Jan Karski. Just 28 years old at time, Karski made his way out of German-occupied Europe to Britain — where Prime Minister Winston Churchill sent word that he was too busy to meet with him. Then, in Washington, D.C., Karski gained the audience of the president in the Oval Office in a meeting that lasted about an hour. He told the president what he had seen after having infiltrated an extermination camp on Polish soil, posing as an Estonian prison guard. He emphasized the desperate situation of European Jews and the huge scale on which their murders were taking place. On May 29, 2012, President Barack Obama posthumously awarded Karski, who had moved to Washington after the war, the Presidential Medal of Freedom. He presented it to Adam Daniel Rotfeld, a former Polish foreign minister, and a Jewish Holocaust survivor. Next Article German court rejects ‘Nazi grandma’ appeal, as it rules Holocaust denial is not covered by free speech.